Red Bull is organising the Mindgamers event for the second time this year. Of course we had to try out, at least for fun, right? What are the Red Bull Mindgamers 2018? Well, they are (supposed to be) the Escape Room World Championships. But – are they? Considering last years mixed-bag final event, a lot of questions were up in the air about the second go around. 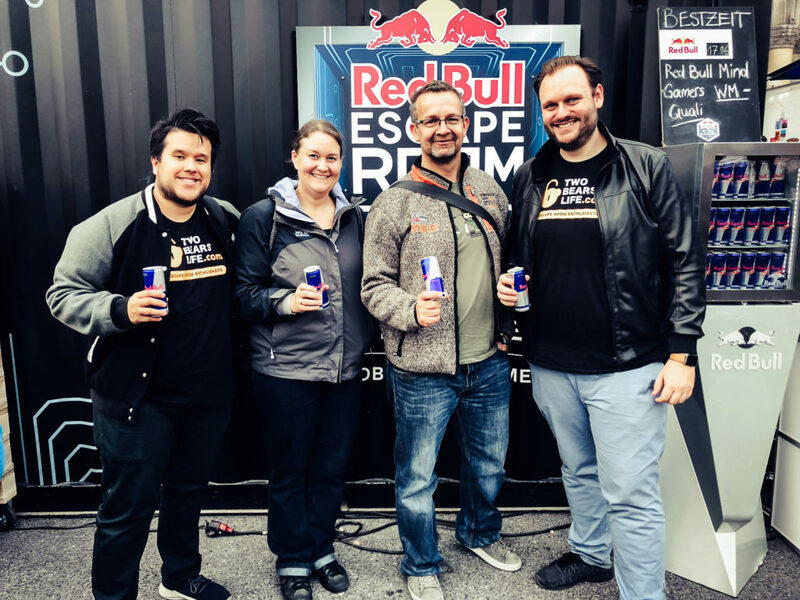 Sure, Red Bull is doing a great thing by bringing Escape Rooms to the forefront, to a big audience to experience all the excitement we Escape Room Enthusiasts already know and love. 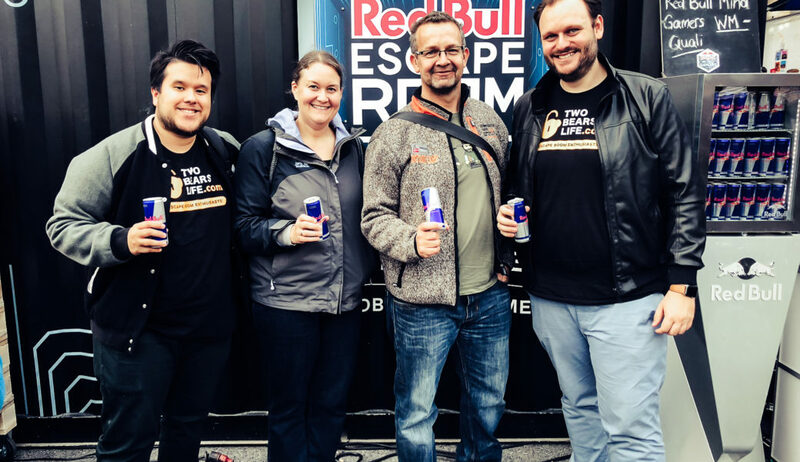 But Red Bull struggled last year to capture the spirit of Escape Rooms. On the other hand, it was their first try, so Llt’s give them a second chance. If you haven’t watched it – you still can stream the entire Red Bull Mindgamers 2017 Finals here >>. But even with leaving all this baggage behind, the second year started very chaotic. 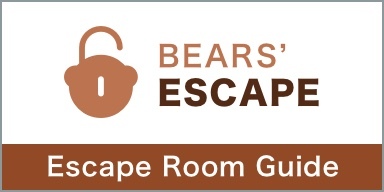 The online qualifiers opened some time ago and gave people a chance to train with some online games which covered various “areas” of Escape Room basics, although they did function quite similar. After some training, the player was able to assemble a four-person group to combine their time and qualify for sign-up spots at local qualifier events, which were or will be held in participating countries. 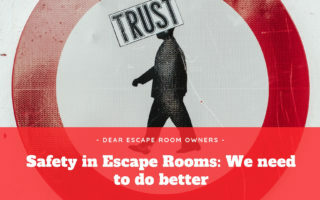 We teamed up with our core escape room team and trained with the online games, improved our times and felt quite excited during the first couple of days. But since only one other group showed up in the Austrian online ranking, we didn’t feel the competition spirit a lot. After a couple more weeks of waiting, we finally saw some news pop up about the Austrian qualifier Event. FINALLY. But the weird thing was, we couldn’t sign up with our online group. All the slots in that qualifier were walk-in slots, so it seemed like our online work didn’t really matter. Well – at least we got some training. Since the dates were announced short notice, one of our team members couldn’t join us for the weekend and we had to find a quick replacement – which we did could in the end (Thank You Heiner). 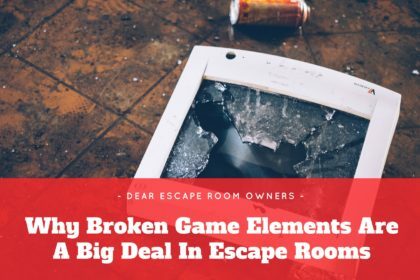 Thank god we do know a lot of people who enjoy Escape Games. The qualifiers were scheduled on a weekend in a location called Game City, which didn’t mean anything to us, since we were not from Vienna and didn’t really understand what that was. It sounded like a Game Convention, but thats all the information we had. There were not a lot of slots taken on Friday (or so we thought – turned out that the people on location just didn’t enter any group that took longer than 20 minutes, which made it look like there were barely any people attending the qualifier), so we decided to head for an escape room in Vienna in the morning, take some lunch and head for Game City afterwards. Which turned out to be a HUGE mistake. If you have never heard about Game City, it is a big Game Convention in Vienna. And yes, there was a big line at the entry and there were TONS of people there – mostly enjoying and playing eSport games like Fortnite. The crowd was very young and clearly not there for Escape Rooms. So we arrived around 14:00 and once we were finally in, we headed straight for the Red Bull container, as we had no other interest in the convention whatsoever. At arrival, we heard the shocking news: all the walk in slots were taken BUT we were lucky as a group decided to drop out in the exact moment when we arrived. Talk about luck – we used up all of it in that moment. Little sidenote, which is not Red Bulls fault at all but the venue only had toilets INSIDE the building, while a lot of stuff including the Red Bull Qualifiers were outside, and to go inside you literally had to stand in line for over an hour. Sounds insane, right? Who organises stuff like that? While signing up for the contest, we got more and more confused. The people working at the Mindgamers Qualifier were nice, but they didn’t understand when we asked them if we could use our online group for the game. They didn’t even know what we were talking about, as if whole first step of the online qualifiers didn’t exist. Which they didn’t for Austria, because none of them mattered, because they ultimately wanted random walk-ins to play the games. So we got a new group assigned, which some of our members got a new email for – I didn’t, but turned out it didn’t really matter for us anyway. After that, we waited around an hour for our free slot (which we just got out of PURE luck) and played the game. While waiting, we did see some other groups and some of the members did not look like they were meeting the 16-years and older rule at all. Sure, the crowd at the convention was 12 years or older, but it confused us immensely, as these teams seemed to take slots from teams that would actually be allowed to compete in the finals, right? The qualifier games were, in the end, pretty similar to the online games. If you have played them before, you definitely had some advantages, but reaching all of them under 20 minutes turned out to be too big of a challenge for our us. We struggled during the entire game with team coordination, which can be attributed to the fact that we couldn’t compete with out played-in team, but who cares, we didn’t win it, no issues there. We did run into a bug though and the game had to be reset at the 15 minutes mark for us, which meant a big break during which we had to leave the container, wait and than restart the whole section again, which cost us time for sure. But to be fair, we wouldn’t have beaten the 17 minutes “best score of the day” anyways. So we had to leave the container with around 3 stages unseen. Over 20 Minutes simply means game over. Overall, we do love the idea of what Red Bull is doing with the Mindgamers. And we surely do not expect a perfect execution, considering this is just the second year. 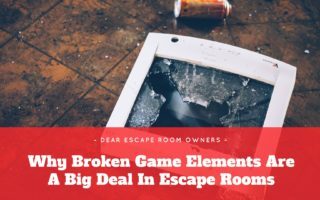 Nevertheless, there are some factors which were frustrating as an Escape Room Enthusiast that hopefully will be addressed in the future. Sorry to say it straight forward but the coordination of the event up until now is a big mess. Considering what a big event this is and the wide scale it spawns over multiple countries, it is indeed very disappointing that everything feels like it is announced last minute. It shouldn’t be a surprise to hear that you have to take a day off to go to a local qualifier in less than two weeks. And heaving to go the extra mile for every tiny bit of information is exhausting. Bringing this little “rant-y” blogpost to a conclusion, I also want to address the type of games that were chosen for qualifiers this year. The concept was pretty similar to last year which means: they massively favour people who are fast logic thinkers and are familiar with pc gaming logic and mechanics. Why is that considered a qualifier for an Escape Room Championship? 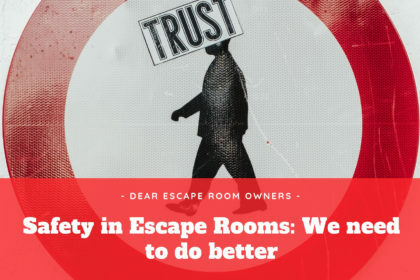 Wouldn’t an actual 20 minutes Escape Room be better? Sure, there would be a bit of a problem to transport that game to the various locations, but to be very honest: wouldn’t it be better to just do a simple 20 minutes “Gen 1” room with only locks and boxes. Because that still represents Escape Rooms more than iPad Games. And it would be doable in a similar and easy fashion all around the world. Even with all that said, we are still super excited to watch this years event, as some dear friends of us are involved in planning the event this year. We haven’t heard anything more, but we are sure it’s gonna be awesome. For those still waiting for their local qualifier: be sure to train the games online and good luck. Thanks for the write-up. The qualifier games seems like a challenge. How many stages were you able to complete? We had 3 or 4 Stages left in the end, but I am not really sure to be honest 🙂 Did or will you attend a qualifier as well? Wow, awesome!this helped me get a bit of understanding into the mechanics of the whole event. Now I can focus on preparing for qualifications without much doubts in mind.